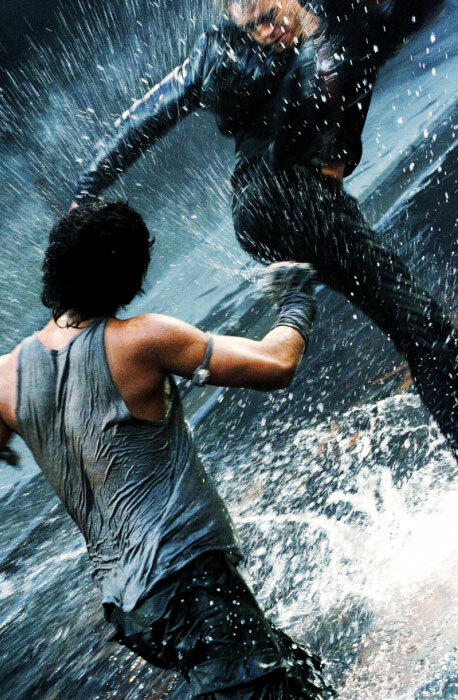 Asian Cinema in the UK starts January 2010 with a magnificent trio of movies. 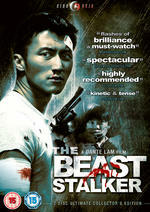 From Cine-Asia we have Hong Kong thriller “The Beast Stalker” (trailer) starring Nic Tse (Invisible Targets), Nick Cheung (The Exiled) and the pocket sized Zhang Jingchu (Seven Swords). The two-disc THE BEAST STALKER (cert. 15) will be released on DVD (£17.99 or £11.99) on 4th January 2010. Special Features include: Behind The Scenes ; Making Of; Interview Gallery; extended/alternate scenes; trailer gallery; Dolby Digital 5.1 and 2.0 Cantonese and 5.1 English audio options; optional English subtitles. 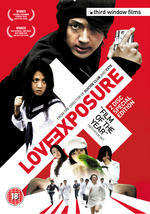 Next up with the 237 minute running time we have Love Exposure (trailer), Winner of the FIPRESCI Prize and the Caligari Film Award at the 2009 Berlin International Film Festival. We have director Sion Sono’s feature length debut. The two-disc LOVE EXPOSURE (cert. 18) will be released on DVD (£14.99 or £9.99) by Third Window Films on 11th January 2010. Special Features include: anamorphic widescreen presentation; “Making of” featurette; trailer; optional English subtitles; trailers for other Third Window releases. Last but not certainly least, we have the Muay Thai meets Basket Ball! Fireball (trailer) has been quoted as “The Most Mind Blowing Experience Since Ong Bak”, Fireball is released on DVD (£8.99) & Blu-Ray (£14.99) by E1 Entertainment on 18th January 2010. Prior to its DVD release the film will be showing at selected cinemas throughout the UK, courtesy of Premiere Films, from 8th January 2010.